Yesterday’s scorcher of a day was no deterrent for determined Beverly Hills home buyers! We had a nice turnout, and we’re doing it all again tomorrow, Tuesday, July 26, from 11am-2pm! This beautiful, modern home is located off of San Ysidro, which has LOTS of new homes (both on it and on side streets) with prices from $3M and up, so the whole area is moving up in price. With that in mind, there are only so many opportunities left in the area under $2M, so this gorgeous property is a steal. 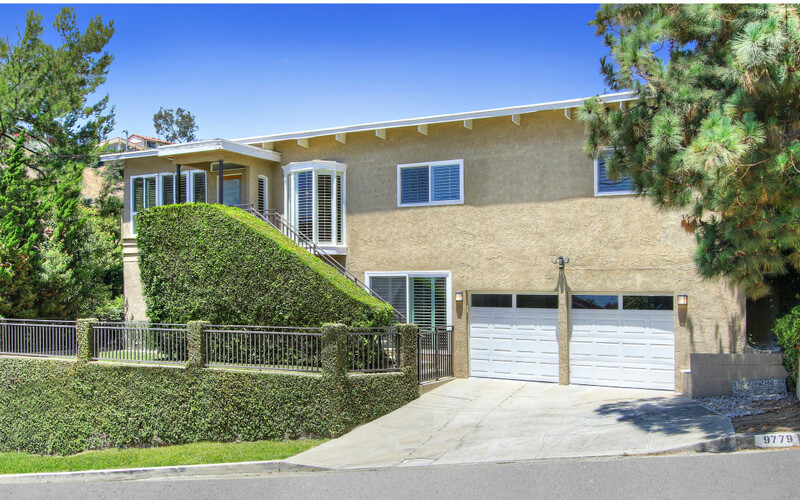 The charming four bedroom contemporary in Beverly Hills is located on a quiet cul-de-sac. Although you are just 10 minutes from the center of this world famous city, the serene location is ideal to come home to and relax after a long busy day. There are three bedrooms upstairs, and another bedroom downstairs that could be used as an office, guest room, workout space, or maid’s room. Hardwood flooring, shutters and soft colors give each space a warm feel. The living room is a good size to accommodate many guests, and the family room is cozy with built-ins that are both practical and tastefully designed. The property has been well maintained, and the closets have been organized to be highly functional. See the featured listing page (with more pics) here.